This is the fifth book published within the Ashgate Studies in Resilience Engineering series. 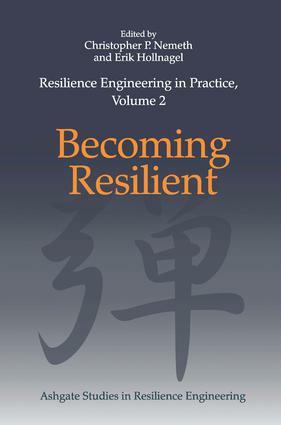 The first volume introduced resilience engineering broadly. The second and third volumes established the research foundation for the real-world applications that then were described in the fourth volume: Resilience Engineering in Practice. The current volume continues this development by focusing on the role of resilience in the development of solutions. Since its inception, the development of resilience engineering as a concept and a field of practice has insisted on expanding the scope from a preoccupation with failure to include also the acceptable everyday functioning of a system or an organisation. The preoccupation with failures and adverse outcomes focuses on situations where something goes wrong and the tries to keep the number of such events and their (adverse) outcomes as low as possible. The aim of resilience engineering and of this volume is to describe how safety can change from being protective to become productive and increase the number of things that go right by improving the resilience of the system.